Venison is the meat of a game animal, especially a deer. The word derives from the Latin vēnor (to hunt or pursue). This term entered English through Norman in the 11th century, following the Norman invasion of England, and the establishment of Royal Forests. 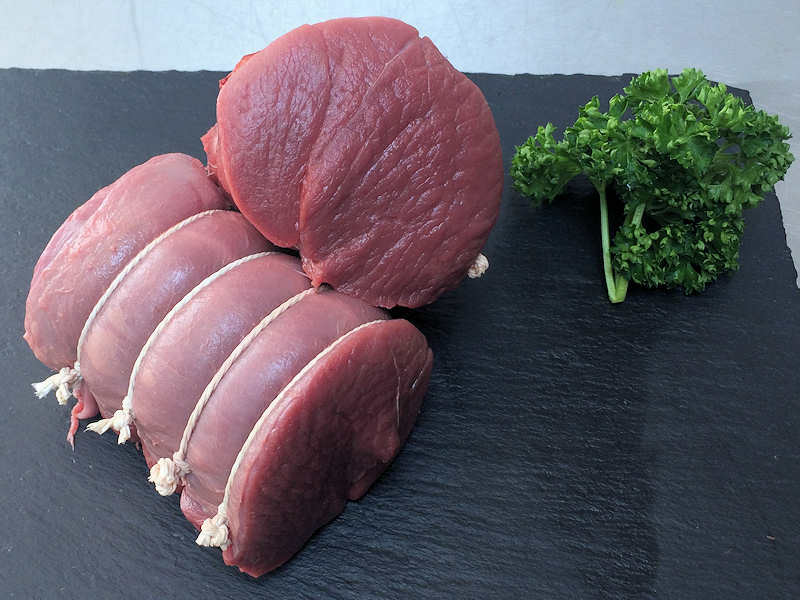 Venison originally described meat of any game animal killed by hunting,and was applied to any animal from the families Cervidae (deer), Leporidae (hares), and Suidae (wild pigs), and certain species of the genus Capra (goats and ibex), but in the northern hemisphere the word's usage is now almost entirely restricted to the flesh of various species of deer. In Southern Africa, the word venison refers to the meat of antelope. There are no native Cervidae in sub-Saharan Africa. Reinsdyrsteik (reindeer roast), a Norwegian dish. 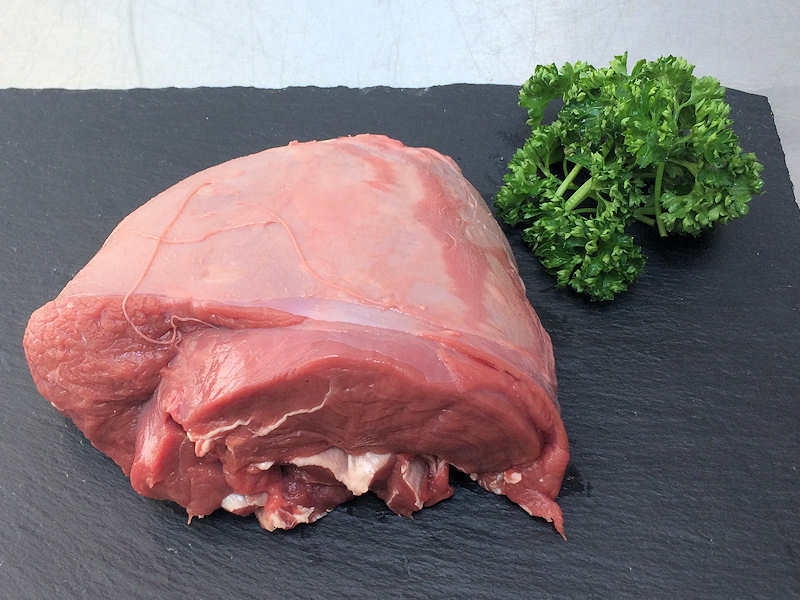 Venison may be eaten as steaks, tournedos, roasts, sausages, jerky and minced meat. It has a flavor reminiscent of beef, but is richer and can have a gamey note.Venison tends to have a finer texture and is leaner than comparable cuts of beef. However, like beef, leaner cuts can be tougher as well. Organ meats of deer are eaten, but would not be called venison. Rather, they are called noumbles. This is supposedly the origins of the phrase "humble pie", literally a pie made from the organs of the deer. Venison is higher in moisture, similar in protein and lower in calories, cholesterol and fat than most cuts of grain-fed beef, pork, or lamb. 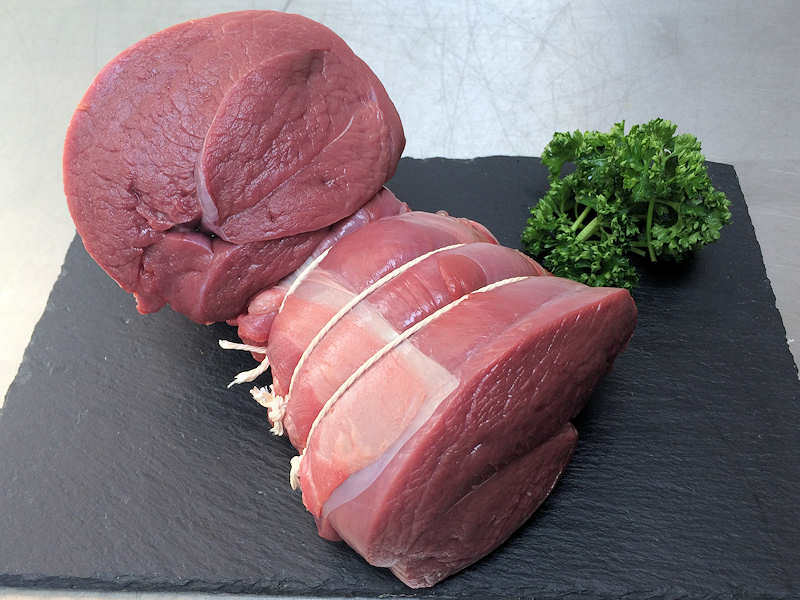 Venison has enjoyed a rise in popularity in recent years, owing to the meat's lower fat content. It can often be obtained at less cost than beef by hunting (in some areas a doe license can cost as little as a few dollars); many families use it as a one to one substitute for beef, especially in the US mid-south, Midwest, Mississippi Valley and Appalachia. In many areas, this increased demand has led to a rise in the number of deer farms. Venison burgers are typically so lean as to require the addition of fat in the form of bacon, olive oil or cheese, or blending with beef, to achieve parity with hamburger cooking time, texture, and taste. Some deer breeders have expressed an interest in breeding for a fatter animal that displays more marbling in the meat. 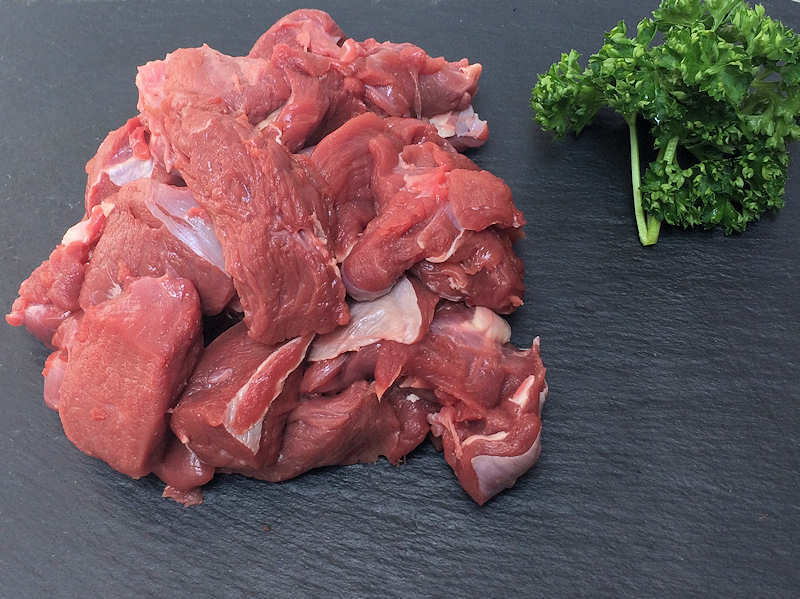 Venison can be kosher, as deer are ruminants and possess completely split hooves, two of the requirements for land animals, and indeed is available kosher in places such as Israel, New York, and Chicago. However, kosher venison is not available in the UK. In the early 20th century, there would be a once-a-year supply of kosher venison in the UK, when a group of shochets would travel to the Rothschild family's estate and catch and slaughter some deer in the appropriate manner on the estate. This has not, however, been done for many years. 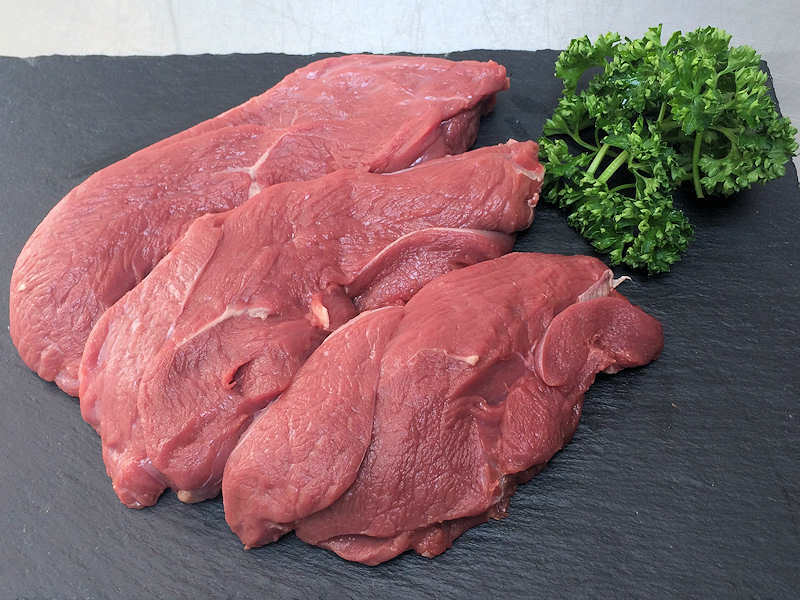 Venison is widely available in European supermarkets through the traditional hunting season, October to December. 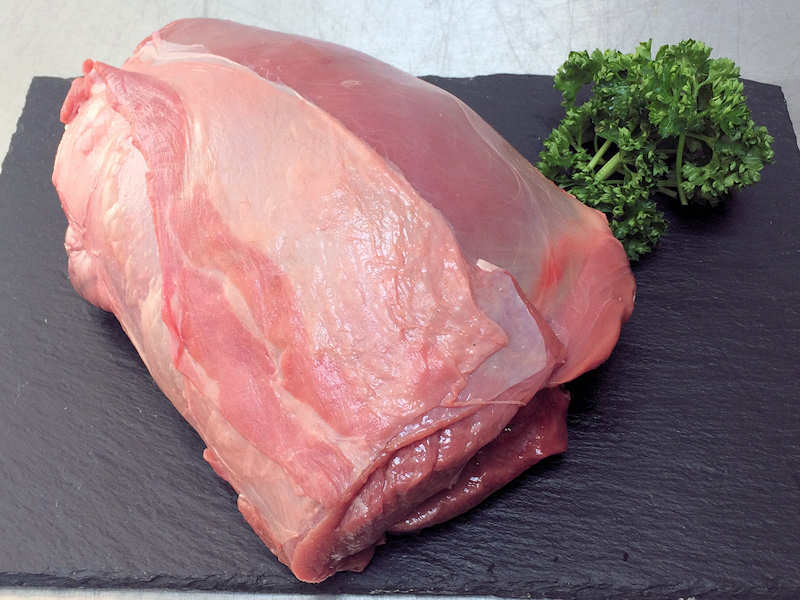 The main cuts available to European consumers are derived from the saddle and the hind leg. 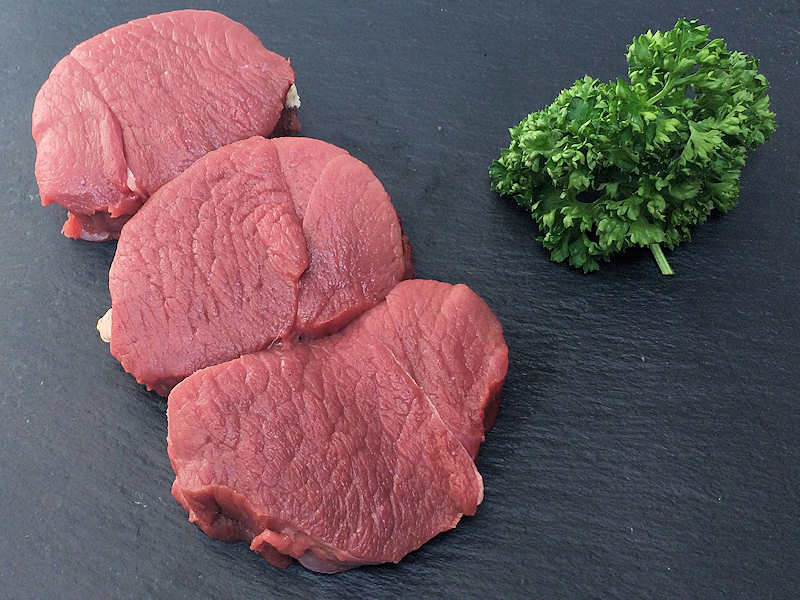 Frozen diced venison is also readily available in most supermarkets. 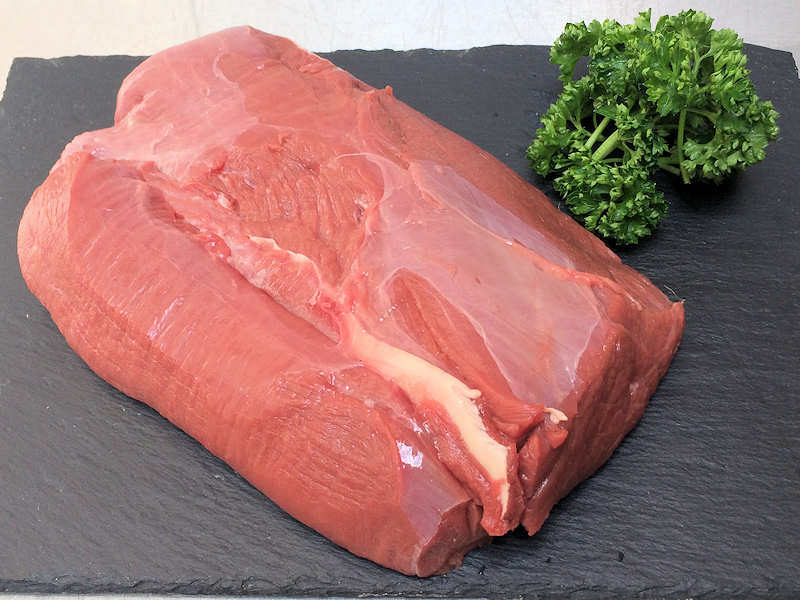 Most of this venison comes from New Zealand. In United States, venison is less available at retail due to the requirement that the animal be first inspected by USDA inspectors. There are very few abattoirs which process deer in North America, and most of this venison is destined for restaurants. Most venison sold through retail in the USA comes from New Zealand. 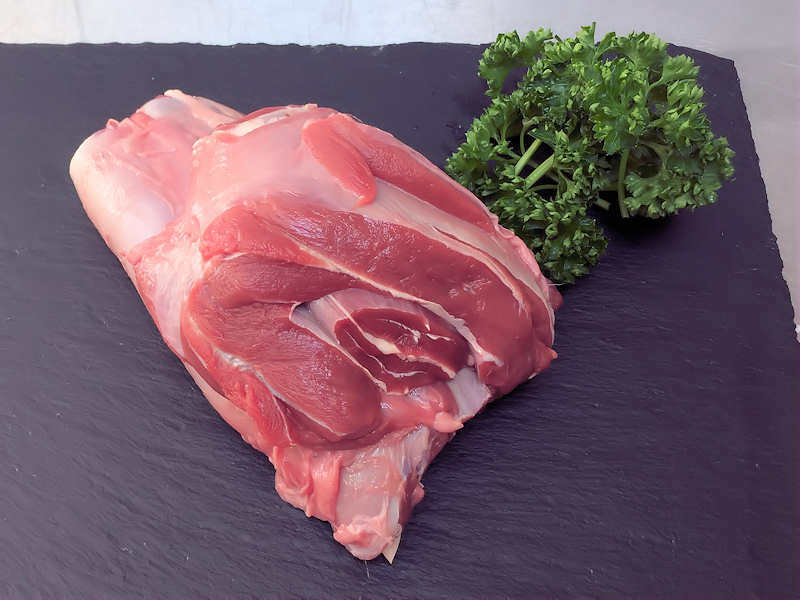 It is available through some high end specialty grocers and some chains which focus on more 'natural' meats. Non-retail venison is often obtained through hunting and self-slaughter or contracting to small meat processing facilities to do the processing for the hunter, but sale of the finished meat is usually illegal.